Sylvia I. (Pemberton) (Klavon) Simms, 92, of Geneseo died on Saturday, October 06, 2018 at Good Samaritan Village, Geneseo. Funeral services will be held at 10:30 am on Wednesday, October 10th at Concordia Lutheran Church, Geneseo. Rev. Stephen Mueller will officiate. Burial will be in North Cemetery, Geneseo. Visitation will be from 4 to 7 pm on Tuesday at Stackhouse-Moore Funeral & Cremation Services, 225 E. Park St. Geneseo. Memorials may be made to Concordia Lutheran Church or St John’s Lutheran Church, Geneseo. Sylvia Pemberton was born July 12, 1926 in Geneseo the daughter of Henry and Nellie (Sanders) Pemberton. She attended Geneseo schools and graduated with a GED in 1974. On July 3, 1943 she married Harry A. Klavon in Geneseo. He died on April 1, 1997. She later married Vernon M. Simms on October 5, 2002 in Geneseo. He died on March 27, 2009. Sylvia had owned and operated Sylvia’s Beauty Shop in Geneseo for 42 years until retiring in 2005. 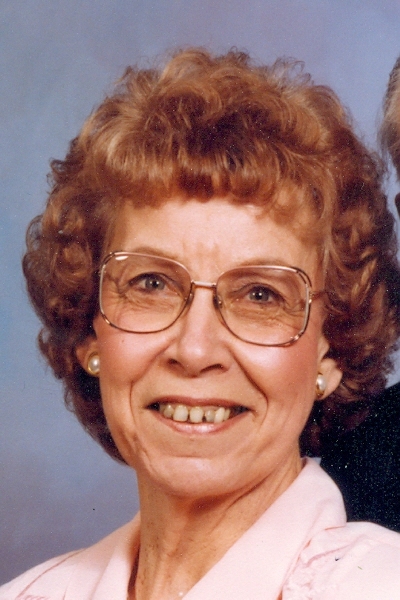 Sylvia was a member of Concordia Lutheran Church, Geneseo; Geneseo VFW Women’s Auxiliary, and the Geneseo American Legion Auxiliary. She enjoyed collecting dolls. Survivors include three daughters, Marilyn (Joe Gargano) Anderson, East Moline, Carolyn (Dan) Werner, Geneseo and Jane (Jack) Copeland, Moline; three sons, Russell (Lynn) Klavon, Geneseo, Dennis (Ann) Klavon, Monett, MO, and Raymond (Jennie) Klavon, Geneseo; twelve grandchildren, Richard Anderson, John Anderson, Jennifer Schroeder, Kevin Klavon, Kelly Cortez, Erika Watkins, Nathan Klavon, Denise Kurima, Brenda Hallendorff, Josh Stidham, Becca Stidham, Jordan Copeland; four step-grandchildren, numerous great grandchildren and three great great grandchildren. She was preceded in death by her parents, both husbands, a daughter, Darla Stidham, son-in-law, Rich Anderson, two daughters-in-law, Carol Klavon and Annette Klavon, three brothers, two sisters and two grandsons, Marcus Klavon and Kyle Klavon.